A Bethnal Green shop has lost its alcohol licence after selling vodka to underage school girls who purchased the beverages and drank them before attending school. 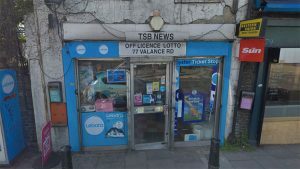 TSB News, on Valance Road, was found guilty of selling alcoholic drink to underage pupils of Mulberry Academy Shoreditch and Oaklands Secondary School. The children were reported turning up to their classes whilst intoxicated. 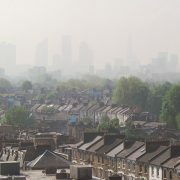 Tower Hamlets’s licensing committee was made aware that the shop was selling spirits to young girls who entered the store wearing their school uniforms. At an afternoon meeting on Tuesday March 19, councillors stripped TSB News of their licence to sell alcohol. According to police reports, TSB News was first put under questioning in November 2017, when a student arrived at Mulberry Academy Shoreditch intoxicated. Another case then arose of a girl pupil who was discovered drunk in her morning class at a nearby school, Oaklands Secondary School. Officers said that on the same day ambulances were called to help assist both underage pupils. In March 2018, another girl from Mulberry Academy Shoreditch arrived drunk, according to council documents. She claimed she bought vodka from TSB News in the morning whilst wearing her uniform. 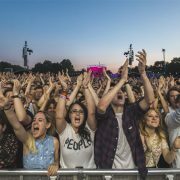 PC Simon Lambert, after school officer, said: “[There are] numerous occasions when female students attended in a state of either partial or extreme intoxication. The shop is known to students as a venue where you can buy alcohol regardless of your age. PC Lambert was told that “if you go there with the right money” then they will sell you anything, regardless if you are in uniform or not. In December 2018, police sent two undercover children, aged 13 and 15, into TSB News on Valance Road. They were able to buy a can of Stella and a bottle of WKD without question or proof of ID, according to officers. Dr Vanessa Ogden, CEO of Mulberry Schools Trust, said: “The academy ensured that all its young people are thoroughly safeguarded and therefore deals robustly with those who supply vulnerable youngsters illegally with alcohol, reporting such matters to the police immediately. 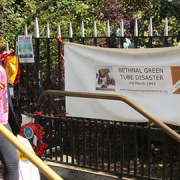 Work starts on memorial to victims of Bethnal Green tube disaster – but will it ever be finished?